One of the most popular sports in the US is baseball. In fact, it is counted as one of the highest played sports in the entire world. The most prestigious championship of baseball is the Major League Baseball, which is organized in the US. This is the country which has produced a number of the best baseball players of all time. Athletes associated with baseball who compete in the MLB are considered among the highest paid sportspersons, what with their lucrative salary from the teams they play for. 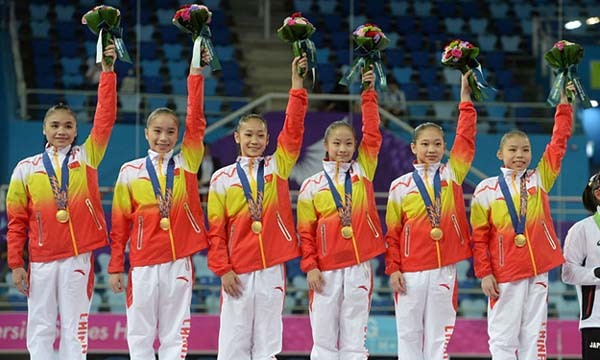 Besides, they also have their own personal earnings from endorsements. Legendary baseball players like Alex Rodrigues or Carlos Beltran are among the wealthiest athletes in the world, owing to their huge career earnings. 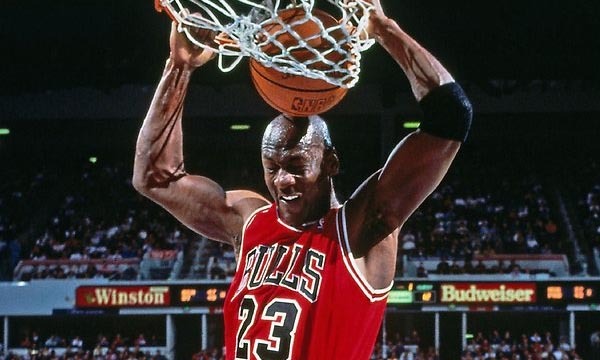 Alex’s total career earnings are worth $466,963,699, which makes him a part of the richest sports stars associated with different kinds of games. The newer players in this field are also on their path to become very wealthy because of the contract fee they get or will bag in future, from the top teams. So let us take a look at the Top 10 Highest Paid Baseball Players 2015. Clayton Kershaw is an American baseball player and currently plays in the Major League Baseball for the Los Angeles Dodgers as a starting pitcher. He made his debut on May 25, 2008 in MLB for the Los Angeles Dodgers. He earned the NL CY Young Award three times, the NL MVP in 2014 and was named the All-Star four times till now from 2011 to 2014. Clayton Kershaw now having a 7 year contract with the Los Angeles Dodgers and in 2021 he will be a free agent. He presently has a total worth of $215,000,000 contract value that also includes $215,000,000 guaranteed income. His contract till 2021 will pay him a total of $30,714,286 average yearly salary. 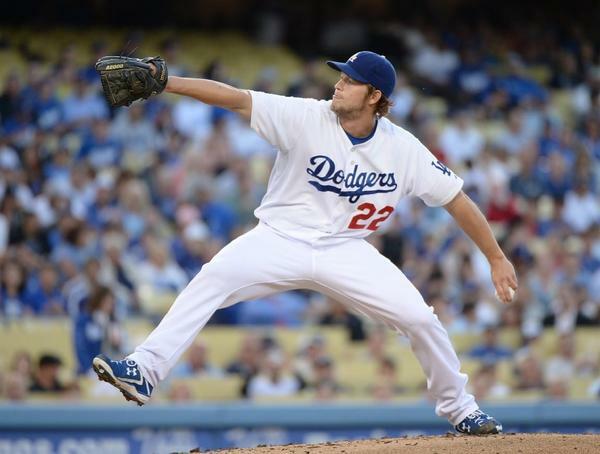 Clayton Kershaw gets a base salary of $30,000,000 this year and is cumulatively earn a total of $32,571,428 in 2015. 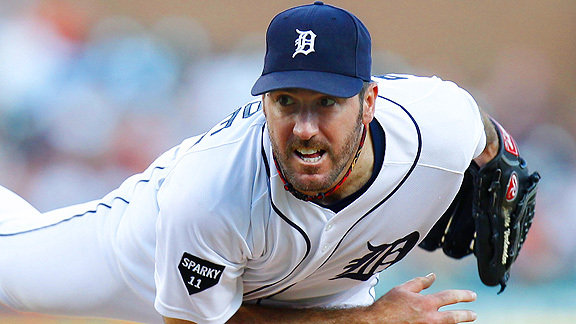 Justin Verlander is an American baseball player and currently plays in the Major League Baseball for the Detroit Tigers as a starting pitcher. He made his debut on July 4, 2005 in MLB for the Detroit Tigers. He won the AL CY Young Award in 2011, the AL MVP in 2011 and was named the All-Star six times till now from 2007 to 2013. Justin Verlander now having a 7 year contract with the Detroit Tigers and in 2021 he will be a free agent. He presently has a total worth of $180,000,000 contract value that also includes $180,000,000 assured income. His contract till 2021 will pay him a total of $25,714,286 average yearly salary. Justin Verlander gets a base salary of $28,000,000 this year and is cumulatively earning a total of $28,000,000 in 2015. Josh Hamilton is an American baseball player and currently plays in the Major League Baseball for the Los Angeles Angels of Anaheim as an outfielder. He made his debut on April 2, 2007 in MLB for the Cincinnati Reds. He won the ALCS MVP in 2010, the AL MVP in 2010 and was named the AL Batting Champion in 2010. 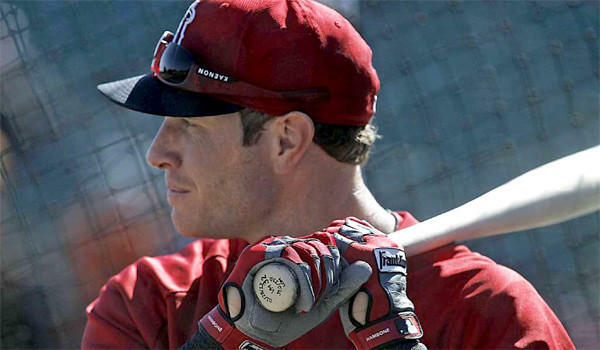 Josh Hamilton is now in a 5 year contract with the Los Angeles Angels of Anaheim and in 2019 he will be a free agent. He presently has a total worth of $125,000,000 contract value that also includes $125,000,000 guaranteed income. His contract till 2019 will pay him a total of $25,000,000 average yearly salary. Josh Hamilton gets a base salary of $23,000,000 this year and is cumulatively earning a total of $25,400,000 in 2015. 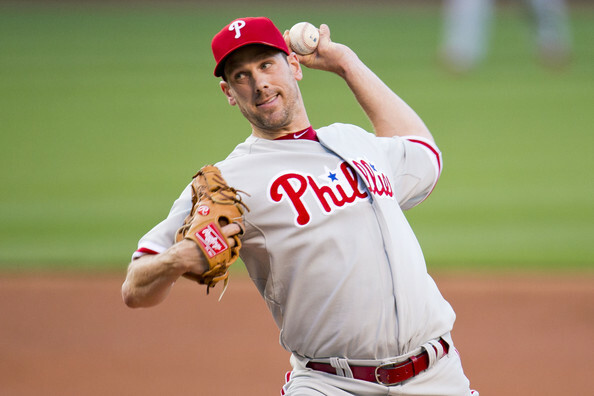 Cliff Lee is an American baseball player and currently plays in the Major League Baseball for the Philadelphia Phillies as a starting pitcher. He made his debut on September 15, 2002 in MLB for the Cleveland Indians. He won the AL CY Young Award in 2008, the AL Comeback Player of the Year in 2008 and was named the All-Star four times till now from 2008 to 2013. Cliff Lee now having a 5 year contract with the Philadelphia Phillies and in 2017 he will be a free agent. He presently has a total worth of $120,000,000 contract value that also includes $120,000,000 promised income. His contract till 2017 will pay him a total of $24,000,000 average yearly salary. Cliff Lee gets a base salary of $25,000,000 this year and is cumulatively earning a total of $25,000,000 in 2015. Ryan Howard is an American baseball player and currently plays in the Major League Baseball for the Philadelphia Phillies as a first baseman. 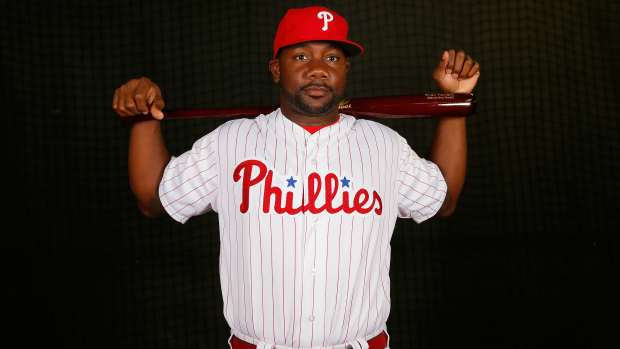 He made his debut on September 2, 2004 in MLB for the Philadelphia Phillies. He won the World Series champion in 2008, the NL Rookie of the Year in 2005 and was named the All-Star five times till now from 2006 to 2010. Ryan Howard is now in a 5 year contract with the Philadelphia Phillies and in 2018 he will be a free agent. He presently has a total worth of $125,000,000 contract value that also includes $125,000,000 guaranteed income. His contract till 2018 will pay him a total of $25,000,000 average yearly salary. Ryan Howard gets a base salary of $25,000,000 this year and is cumulatively earning a total of $25,000,000 in 2015. Zack Greinke is an American baseball player and currently plays in the Major League Baseball for the Los Angeles Dodgers as a starting pitcher. He made his debut on May 22, 2004 in MLB for the Kansas City Royals. He won the AL CY Young Award in 2009, the MLB ERA leader in 2009 and was named the All-Star two times till now from 2009 to 2014. 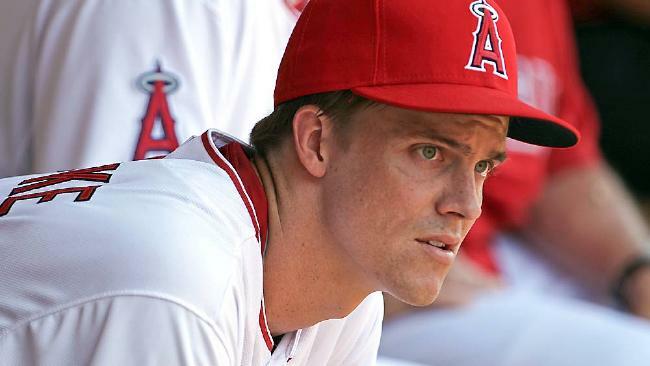 Zack Greinke is now in a 6 year contract with the Los Angeles Dodgers and in 2019 he will be a free agent. He presently has a total worth of $147,000,000 contract value that also includes $147,000,000 assured income. His contract till 2019 will pay him a total of $24,500,000 average yearly salary. Zack Greinke gets a base salary of $23,000,000 this year and is cumulatively earning a total of $25,000,000 in 2015. Felix Hernandez is a Venezuelan baseball player and currently plays in the Major League Baseball for the Seattle Mariners as a starting pitcher. 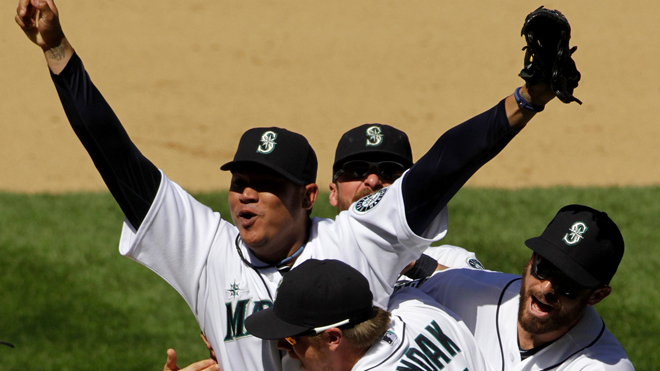 He made his debut on August 4, 2005 in MLB for the Seattle Mariners. He won the AL Win co-leader in 2009, the AL ERA leader in 2009 and was named the All-Star five times till now from 2009 to 2014. Felix Hernandez is now in a 7 year contract with the Seattle Mariners and in 2020 he will be a free agent. He presently has a total worth of $175,000,000 contract value that also includes $175,000,000 assured income. His contract till 2020 will pay him a total of $25,000,000 average yearly salary. Felix Hernandez gets a base salary of $24,000,000 this year and is cumulatively earning a total of $24,857,142 in 2015. Albert Pujols is a Dominican-American baseball player and currently plays in the Major League Baseball for the Los Angeles Angels of Anaheim as a first baseman. He made his debut on April 2, 2001 in MLB for the St. Louis Cardinals. He won the MLB All-Star nine times till now, NL MVP Award three times and was named the World Series champion two times from 2006 to 2011. Albert Pujols now having a 10 year contract with the Los Angeles Angels of Anaheim and in 2022 he will be a free agent. He presently has a total worth of $240,000,000 contract value that also includes $240,000,000 assured income. His contract till 2022 will pay him a total of $24,000,000 average yearly salary. 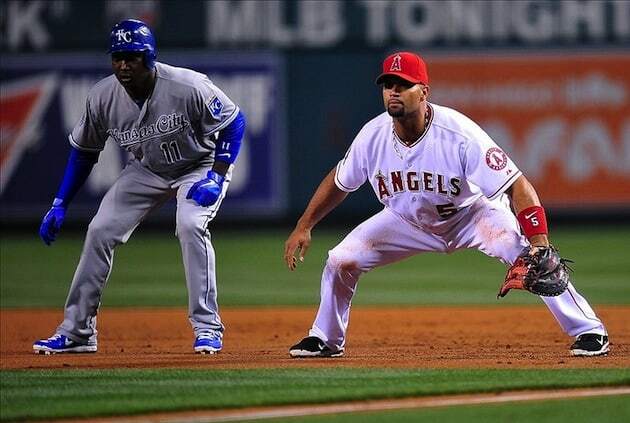 Albert Pujols gets a base salary of $24,000,000 this year and is cumulatively earning a total of $24,000,000 in 2015. Prince Fielder is an American baseball player and currently plays in the Major League Baseball for the Texas Rangers as a first baseman. He made his debut on June 13, 2005 in MLB for the Milwaukee Brewers. He earned the MLB All-Star five times till now, Silver Slugger Award three times from 2007 to 2012 and was named the NL home run leader in 2007. Prince Fielder is now in a 9 year contract with the Texas Rangers and in 2021 he will be a free agent. He presently has a total worth of $214,000,000 contract value that also includes $214,000,000 guaranteed income. His contract till 2021 will pay him a total of $23,777,778 average yearly salary. 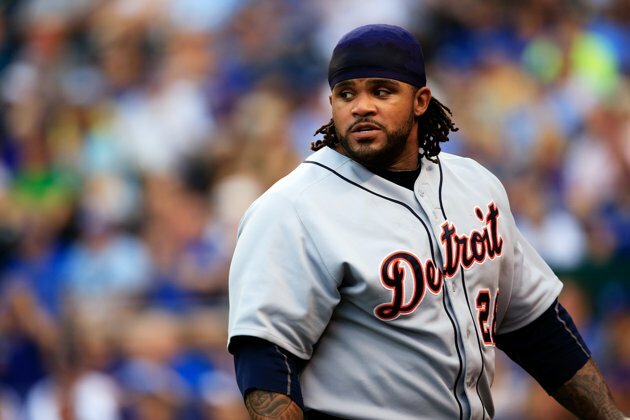 Prince Fielder gets a base salary of $24,000,000 this year and is cumulatively earning a total of $24,000,000 in 2015. Robinson Cano is a Dominican-American baseball player and currently plays in the Major League Baseball for the Seattle Mariners as a second baseman. He made his debut on May 3, 2005 in MLB for the New York Yankees. He won the MLB All-Star six times till now, Home Run Derby Champion in 2011 and was named the World Series champion in 2009. Robinson Cano is now in a 10 year contract with the Seattle Mariners and in 2024 he will be a free agent. He presently has a total worth of $240,000,000 contract value that also includes $240,000,000 guaranteed income. His contract till 2024 will pay him a total of $24,000,000 average yearly salary. 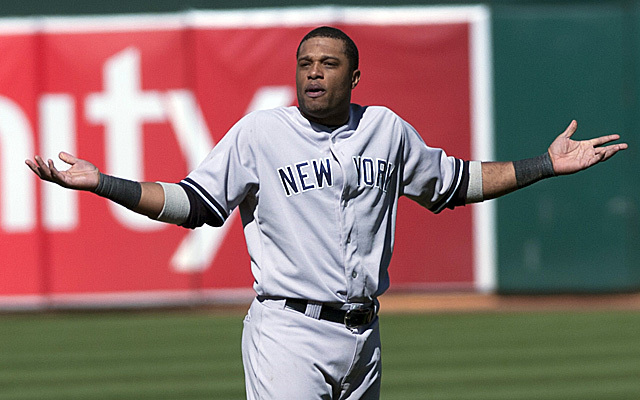 Robinson Cano gets a base salary of $24,000,000 this year and is cumulatively earning a total of $24,000,000 in 2015. Several other baseball stars participating in the MLB, like Mark Teixeira or Cole Hamels, also deserve to be mentioned while discussing the highest paid baseball players of 2015. Cole Hamels, a starting pitcher, earned $144 million from his 6 year contract with the Philadelphia Phillies, while Mark Teixeira received $180 million from his 8 year contact with the New York Yankees.